Check out Dr. Leavy's newest book: Spark—a novel that explores the research process and interdisciplinary thinking. Also sign up to receive e-alerts on books by Patricia Leavy. Read a Q & A with Patricia Leavy, our March Author of the Month! 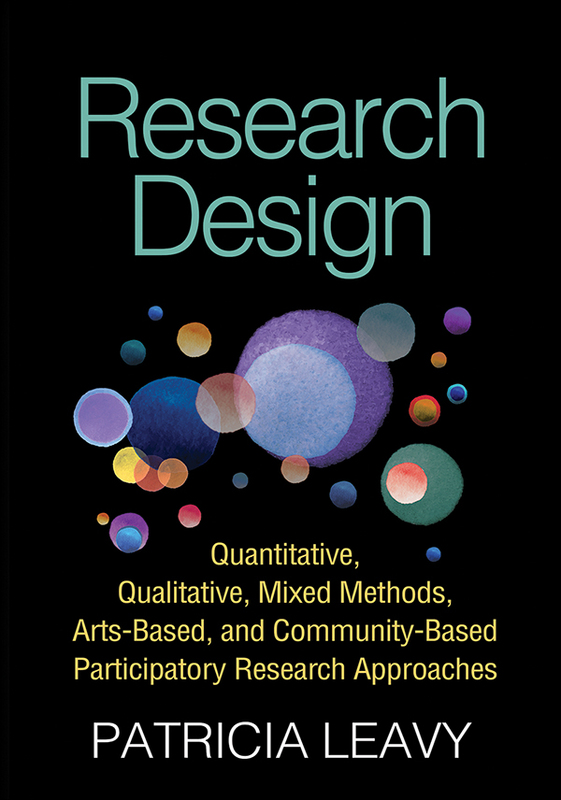 This user-friendly book provides a step-by-step guide to using the five major approaches to research design: quantitative, qualitative, mixed methods, arts-based, and community-based participatory research. Chapters on each approach follow a unique format—they present a template for a research proposal and explain in detail how to conceptualize and fill in every section. Terminology commonly used within each approach is identified, and key moments of ethical decision making are flagged. Interdisciplinary research examples draw on current events and social justice topics. Unique coverage includes hot topics: replication studies and data sharing, tailoring proposals to different audiences, and more. The book also includes a general introduction to social research; an in-depth, practical discussion of ethics; and a chapter on how to begin a research study, from planning a topic to developing a research question via a literature review. Multiple "Review Stops" in each chapter—quick quizzes with answer keys. End-of-chapter writing exercises, research activities, and suggested resources. Bold-face key terms and an end-of-book glossary. Boxed tips from experts in the respective approaches. Supplemental PowerPoint slides for instructors using the book in a class.